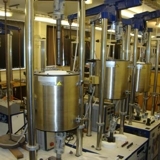 The Materials Engineering Group is based at The Open University (UK) in Milton Keynes. We host world-leading research activity in materials engineering, structural integrity, forensic engineering, engineering failures, creep, metal fatigue, plasma and lead-free solder. Our research expertise is in the fields of Residual Stress Measurement and Analysis, High Temperature Materials Behaviour and Mechanics of Materials. Our excellent experimental and analytical facilities are available for open and contract research as well as commercial consultancy measurements and forensic failure investigations. See the Courses section for further details of the courses to which the Materials Engineering Group contributes. You can also find information on the Engineering teaching programme here . Further information about all Open University courses is available here. 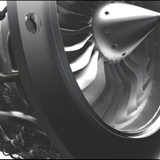 Our research focuses on the use of advanced metal alloys in demanding applications. 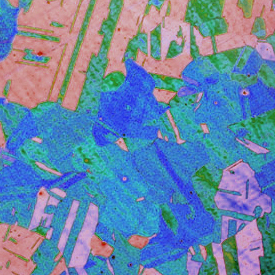 Our laboratories include a Residual Stress Facility for X-ray diffraction and contour method measurements, a High Temperature Facility for hot forming and creep testing, diffusion bonding equipment and a microscopy suite (optical, SEM, TEM, EBSD, FIB etc.). We have access to international facilities for neutron and synchrotron X-ray diffraction experiments and have strong industrial research links with Airbus, Rolls-Royce, British Energy, EDF, AREVA and TWI. 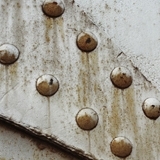 See the Research section for further details of the Materials Engineering Group. We offer excellent PhD research opportunities for enthusiastic students to build knowledge at the forefront of international energy and aerospace materials science. See this page for vacancies in Materials Engineering. Click here to see how to contact The Materials Engineering Group. Further information about research in the Faculty of Mathematics, Computing and Technology is available on the MCT webpages.